Cinema has always been central to North Korean propaganda. Cinema is a group experience and it can transport great emotions. While television is still not available to all North Korean households, movie shows are easily arranged. While the number of movie houses is limited, local culture centers, schools, factories, collective farms - every enterprise and institution either have their own movie projectors or can easily rent one. They arrange screenings for their clientele and thus spread the movies along with the messages they carry. With very few exceptions, only North Korean films are on display. The leadership has always been directly involved in the production of the films. When Kim Jong Il was in his ascendancy, he personally acted as film producer and even wrote a book on how movies had to be made in North Korea, On the Art of the Cinema, published in 1973. Given the fact that North Korea is very isolationist and considering the importance of the film industry to the leadership, it may come as a surprise that the country engaged in a considerable number of international co-productions. One of the reasons for the relative openness of North Korea in the field of cinema may derive from the fact that Kim Jong Il had great artistic aspirations and that he felt that his locally educated movie workers were not up to standard in his opinion. He wanted them to improve their skills through international collaborations. Those collaborations also brought knowledge about new technologies used abroad and to a certain extent might also have made some money for North Korea. I had received a VHS screener copy of the film during a visit to the Korea Film Export & Import Corporation in Pyongyang in 1999 and was quite impressed. I had to find out more about this film. 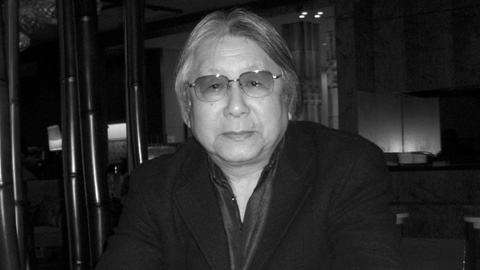 Finally, in March 2012, I sat down with producer Masao Kobayashi at the Shinjuku Keio Plaza Hotel in Tokyo for an interview. I had brought with me a North Korean film catalogue and showed him the pages relating to Woman Warrior of Koryo to let him know how I got a video copy of his film – which is an absolute rarity. Kobayashi took the catalogue, turned a few pages and showed me a picture of two men shaking hands. "That’s me", he said and pointed to the man on the left. "With Mr. Paek", I added. 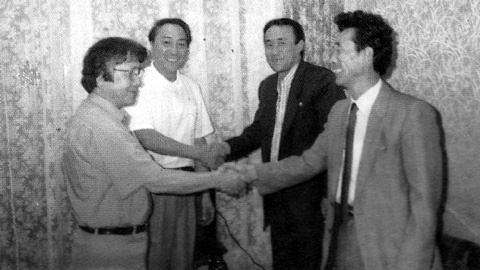 The man on the right was Paek Chol Un, who was vice president of the Korea Film Export & Import Corporation at the time I had visited Pyongyang. That I instantly recognized Paek seemed to provide great relief to Kobayashi. From being initially reserved towards what he probably regarded as a clueless journalist, he suddenly switched to treating me as a trustworthy insider. The interview could begin. How did you start out in film? After graduating from Nihon University, I worked for Daiei as assistant director from 1960 onward for about 10 years. I got involved in the union there, and that work became very important for me. I made union films, too, one even competed in the Soviet Union. Daiei was taken over by Tokuma Shoten [ 1 ] in 1974. Tokuma was a publishing company but they also set up sections for film and music. The film section was called Tokuma Daiei and I became a producer for TV dramas there. At that time, TV dramas were always series. But from my film experience, I knew how to make TV dramas that worked within a 2-hour timeframe. I got contacted many TV companies in order to produce dramas for them. But I was known as a union organizer at the time. That made things difficult. But, well, I had the knowledge to make those shorter dramas work. We did the Saturday Suspense drama for Asahi TV, later the Tuesday Suspense drama for Nihon TV. We produced dramas for all the networks. We became very successful. As I mentioned, Tokuma had both a film and a music section. The film people had to learn about music and vice versa. I was in the top management of both sections. Tokuma also started film sales branches in the U.S. and in Hong Kong to sell their dramas there. Tokuma also bought films through those branches. I was involved in all that work. It was expensive to buy films from America and Hong Kong and I was not very interested in doing that kind of business. I don’t like the buying / selling part of the business – I like to make films. Because we were so successful with the TV dramas, Tokuma Enterprises was founded. We were thinking, what can we do with that company? We started a program called Cinema Beam. We wanted to raise good young talent from all over the world, to support young talent. Because I’m a graduate of the Art Department of Nihon University, I could obtain from them a list of all the film schools and universities with film departments in the world. We sent out information to all those schools saying that we were looking for applications to make films with us. We received about 2000 applications. It didn’t matter to us what the screenplay was about, if it was documentary or fiction, as long as it was enjoyable. Out of the 2000 applications, we chose six entries and then realized those six films. Two were from America, one from Czechoslovakia, one from France, one was from North Korea. The latter was for a film titled Bird. We picked those six scenarios up in 1992. Tokuma gave money to those six projects and they were then all shot in their own countries? The director of the other American film later became very famous. We produced his first film when he was 26 years old. His name was Bryan Singer and the film was Public Access. Singer wanted to make his second feature, The Usual Suspects, in the following year with us as well. But we had to wait because at first we had to finish the six films. We planned to make a second batch of ten films soon after. But because of the end of the bubble economy, we couldn’t realize those additional films. I then quit Tokuma, so I couldn’t help Singer with that film. He made The Usual Suspects on his own and a few years later it was released in Japan. In that film, the character of a foreign lawyer has the name Kobayashi. That was perhaps because I helped realise his first film. It may have been a small tribute by him. He later became very famous in Hollywood with X-Men. So, I have the feeling that we could grow one great film director with our program. I’m proud of it. What about the film Bird? Another film in the Cinema Beam Program was the North Korean co-production Bird. That film had nothing to do with politics. It simply fit the Cinema Beam requirements of being enjoyable and uplifting. Even in North Korea you can make films like that. The film tells a true story: The father [points out the father’s picture in the North Korean catalogue] is the head of the North Korean Bird Study Association. His family was separated in the Korean War and his son ended up in the South. The father doesn’t know what his son is doing and vice versa. The North Korean researcher, the father, collaborates with a Japanese researcher to study bird migration. They put rings on birds and let them fly from North Korea. These rings are Japanese rings. One bird marked by them, a Siberian Starling, was caught in the South. There, the researchers wondered about the Japanese ring because those birds don’t fly via Japan. The Southern researcher asks the Japanese institute. They tell him that they gave those rings to North Korea. Then they research who marked that bird. Turns out, it was the father of the Southern researcher. Both are ornithologists! They get in contact with each other via the Japanese institute. They say: "One day, there must be a bird research conference in Japan where we can meet". But that ends up just being a dream. A very simple and true story. After that film, I quit Tokuma. Bird was all shot in North Korea? Yes, even the Japanese scenes were all shot in North Korea. I had to oversee all six movie projects. Every project got its own executive producer. For America and Europe, we didn’t need any especially skilled producers. But we didn’t know the North Korean ways. So, we put Lee Bong Woo in charge of that film. He has a Korean background. I asked him to go to North Korea. At that time, I hadn’t been there myself yet. Lee became later quite famous. He produced Pacchigi! for example [in 2005]. Only once at the Tokyo Film Festival, in the Asia Film Section. NHK [Japan's national broadcaster - JS] came to the show and reported about it. There was no other distribution? Like to movie theaters? People thought a North Korean film would not be worth showing or watching. They were fools. Tell me about Somi – The Taekwon-do Woman, how did it come about? In 1993, I quit Tokuma. For Bird, our contact in North Korea had been the Korea Film Export & Import Corporation, the company of Mr. Paek and Mr. Choe [Choe Hyok U, General Director - JS]. I didn’t tell them that I had quit my job. Within a year, they contacted Tokuma and asked for me, they wanted to make a movie. Tokuma contacted me and said that there had been a call from North Korea. I then called Pyongyang. They said: "Let’s make a movie together." I said: "Of course, if there is money we can make a movie but it’s very difficult to distribute a North Korean film in Japan." They couldn’t understand that situation. They didn’t know anything. That’s when I went there to meet them. In 1995, I went to North Korea for the first time. When I went to Pyongyang that first time, it was not long after Kim Il Sung had died. The new leader Kim Jong Il was in the Japanese media described as a fool who already had ruined his health with booze and women. But I thought that people who love movies, who produce movies, can’t be that foolish. And I wanted to see the real North Korea, so I went. When I talked to the North Koreans, I got the feeling that film people can connect with each other very well. With the people in the film industry. With Mr. Paek and Mr. Chan, then the vice president of the Korea Film Export & Import Corporation. Mr. Chan was a zainichi [Japanese Korean - JS], his father was a high-ranking cadre in the ministry of Culture. I also went to the Korean Film Studio and I met the minister of Culture. Then, I decided, I must make a film in North Korea. It took two years to make it. I came up with the basic plot. I then asked the North Koreans to write the scenario. Maybe you already know that but in North Korea scenarios are very different from Japan. They are like novels. In Japan, a scenario consists of stage directions and dialogues. In North Korea, it’s a continuous text, dialogue and directions are not clearly separated. Therefore, directors over there use a very different way to realize their films. The Film Export Corporation has a translation section. They translated what had been written into Japanese and faxed it to me. I made my comments and faxed them back. Then, my comments were translated into Korean. Many faxes went back and forth. It was very complicated. How long did that scenario writing process take? About a year. Maybe less. After that, we started to make the movie. As you may know, that was the most difficult time in North Korea, the time of the Arduous March. There was no food. It was the worst time. There were many electricity blackouts in the studio. In that situation, I went there for ten days and then returned to Japan. Ten days there and back. Ten days there and back. Like that. I went many times. I checked the rushes and went back. Went again and again. Do you remember the first scene in the movie? The scene in the town when the bad guy rides in and then parks his horse? You can see that the horse is extremely skinny. Although it’s a fiction movie, it is a good document of North Korea at the time. It was such a hard time. After the completion of the film, people told me that the time when we shot the movie was the worst time in North Korea ever. Worse than during the American bombings in the Korean War, they said. The electricity stopped in the cold of the winter, families hugged each other just to stay warm. But I wanted to show my gratitude to the North Koreans. In that situation, while I was comfortably staying at the Koryo Hotel, they never showed me how hard life was in Pyongyang. They always said: "Kobayashi-san, feel relaxed. Please make your movie". Of course, in North Korea you can’t just go out by yourself and explore the place. I was always with the film company staff. People often complain that there is always somebody with you in North Korea. But you must change your idea over there. When somebody is with you, you can ask him anything. You don’t need to feel that you are watched. You should think that he is your assistant. That way, you can feel very relaxed. The Japanese media calls those guides "spies". But they want to take care of their guests, they want their guests to be happy. They don’t want problems or accidents to occur. Where actually were the shooting locations? There is a lot of beautiful scenery in the movie. It was all just outside Pyongyang. Sometimes, we went to places further away to shoot. I don’t know the names of the places because I don’t speak Korean. But we often shot near the temple in the Myohyang Mountains [Pohyong Temple - JS]. All cast and crew were North Korean? Ri Mi Yang, the actress playing the title character Somi, doesn’t look like a typical North Korean actress. She was not an actress, just a student. I wanted a person who was good at Taekwon-do. Every actor, every actress there can do Taekwon-do. But I wanted a younger one, somebody who is attractive. I looked for an actress with the North Koreans. North Korea is an amazing place. Once you find a good person and order them to do something, they will put all their heart into providing the best possible performance. At that time, Ri Mi Yang didn’t know Taekwon-do at all. But within a year, she reached a Shodan [basic] level. The people there are always enthusiastic about doing their best. Why was she chosen when she was not an actress and couldn’t do Taekwon-do? I thought that the film would in the future being shown in Japan. Therefore, I wanted a face that I thought the Japanese would like. I don’t know if my idea was good or not. Is her long hair real? [North Korean girls usually don’t wear long straight hair, not in the movies and not in real life]. Yes. But the shooting was not done in continuity. Therefore, after the scene when she cuts her hair was shot, we had to use fake hair for scenes set earlier in the movie. How was the technical side of the shooting? In my opinion, the subject matter of the film was very good but the technology available was not. Especially the lighting and sound equipment was poor, as well as the sound effects. In the beginning, we planned to use sync sound but we couldn’t. A rough edit was made in North Korea, then all the post production was done in Japan. It took two years until the film was finished. What was the budget of the movie? The budgets for the Cinema Beam projects were generally 45 to 60,000,000 yen. Bird cost about 45 to 50,000,000 yen. Somi came up to 70,000,000 yen. So, I went over the budget there. The movie should have made money. For Somi, I gave half of the budget to the Korea Film Export & Import Corporation in cash. The other half, I gave them in the form of bicycles. The production staff at first came to the locations by bus. But since that bus service was unreliable, with the bicycles they could arrive for the shooting in time. I ordered the bicycles in Taiwan, from there they were sent to North Korea. All bicycles had a canary mark. That mark referred to Canario Entertainment, your production company? When I quit Tokuma, I had to move on to the next project. I needed a new company. But to start a new company is much work, designing and printing all the new stationary and so on. I had no time for that. So, I joined Canario myself, at first managing both the music and the film sections. But I got too busy. So I told my children that they had to start their own company. With Canario I then made Somi. Where was the film shown? The movie was finished in September or October 1997. After that, I took the final print from Japan to North Korea. The movie was then shown on New Year’s Eve in Pyongyang both in theaters and also via TV. Kim Jong Il must have seen the film. A Film Export Corporation person in Pyongyang told me later that they received a message from Kim Jong Il. It said: "You should make more films like that." After that New Year’s screening, what happened to the movie? My condition for the North Koreans was that they could show the film only once. I gave them my permission for only one time. I have the copyright. I told them: "If you want to use the film in the future, please tell me every time." The follow my guideline, I believe. The year after the movie was completed it was shown once, at the Yubari Fantastic Film Festival, in the foreign section. At that time, I had started to prepare a film that Yoji Yamada was going to shoot in North Korea. I thought that while Yamada made his film in North Korea, I would show Somi in Japan. To let Japanese people know about cinema in North Korea. But if I had tried to really do that, maybe nobody would have wanted the show the film because of all the North Korea bashing going on in relation with the kidnapping issue. So, aside from that Yubari screening, nobody has seen the film in Japan? Why did I make this flyer? [shows English-language promotion flyer for the film] I had a friend who runs a distribution company in America. He wanted to see the film. That’s why I made the flyer. Maybe we could have shown the film in America. But it might not have been successful. America has basically the same attitude towards North Korea as Japan. Please tell me about the Yoji Yamada film project. After Somi, my next project came up, a Yoji Yamada film. In September 2000, I took Yamada to the 7th Pyongyang Film Festival. I asked him to come with me and show some parts of his Tora-san series and some of his other films there. He didn’t want to show his films at the festival venues. He wanted to show them at regular Pyongyang theaters – and that’s what we did. I then decided to make the film. Yamada wrote a synopsis for a film set in contemporary times. I asked the North Koreans not to put any restrictions on the movie. They said: "He can shoot wherever he wants. Just let us know in advance where he wants to go and we will open that location for him." For the last scene, Yamada wanted to shoot a rehearsal for the Arirang Mass Games at May Day Stadium. After the rehearsal, a boy and a girl stand there in the dusk and they have to say goodbye to each other. Because it’s just after the rehearsal, there are many people leaving. For this scene, Yamada needed 50,000 extras. He asked: "Can you do that?" They said: "Yes." I have heard that Kim Jong Il was a big Yoji Yamada fan. His father, Kim Il Sung, as well. They liked Yamada’s kind of heartwarming stories. Yamada’s A Class to Remember 4: Fifteen [15-Sai: Gakko IV, 2000] premiered at the 2000 Pyongyang Film Festival before it was shown in Japan. 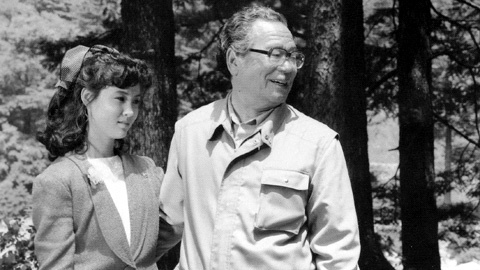 Who had the idea of Yamada making a film in North Korea? I coordinated that. The North Koreans said yes, Yamada said yes. The North Koreans said that if Yamada wanted to shoot a film there, they would be all for it. They had studied Yamada’s films very well. What became of the film? [ 1 ] Tokuma Shoten was the company of Yasuyoshi Tokuma. He was involved in all major management decisions and is thought to have been a leader running the enterprise according to his tastes and ideas. [ 2 ] In Pen Pals, Chinese actress Bai Ling made her first appearance in an American film. [ 3 ] Canario is the term for canary in contemporary Spanish. [ 4 ] Kobayashi always used highly honorific terms when he referred to a person. But in the case of Koizumi, he just said "Koizumi", thus clearly stating his dislike for the politician. [ 5 ] In 2002, Kim Jong Il admitted to Japanese prime minister Junichiro Koizumi that North Korea had kidnapped several Japanese citizens. Some of the kidnapping cases are still not resolved. Japan responded in 2004 by enforcing strict economic sanctions on North Korea. The sanctions are still in place.